Net neutrality was repealed slightly more than a year ago, yet Democrats are still teeing off on the Obama-era rule. More than a year after its repeal, net neutrality could come back again as House Democrats try to revive the long dead rule. Democrats stack first hearing on net neutrality with witnesses who overwhelming support the Obama-era rule. Federal regulators dinged an Obama-era rule that beefed up regulations on the Internet slightly more than a year ago. Democrats are now discussing ways to revive at least a portion of the regulation. Four of the six witnesses at the hearing were staunch defenders of the rule. Former FCC Chairman Tom Wheeler, whose Open Internet order Pai repealed, and Mozilla COO Denelle Dixon, who led a legal challenge against the move. They spoke in support of reinstating rules they believe forbid Internet Service Providers (ISPs) from blocking content that slows down networks. 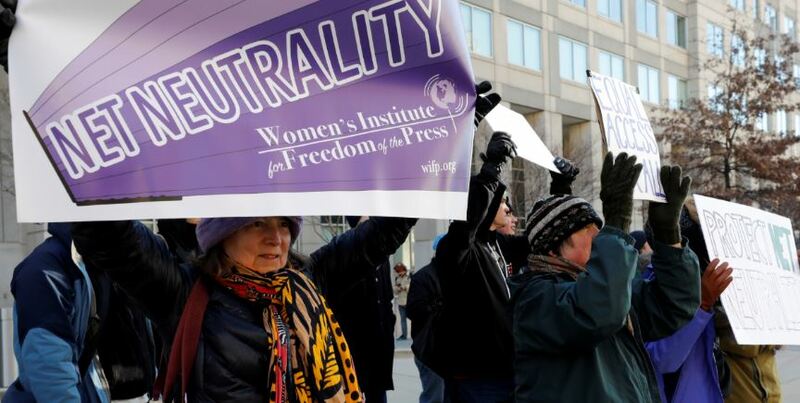 Activists often characterize ISPs as a driveway connecting a home to the vast network of portals on the internet, while net neutrality, they claim, is the principle preventing providers from charging a high fee for some traffic. Many people who oppose providing the government more authority over bandwidth say that’s not an apt-description. “One of the great lies is that that’s ever been challenged, or that it’s at risk,” said Powell, who is now the head of the Internet and Television Association (NCTA). “The bottom line is that nobody has ever represented to me a meaningful business model that would ultimately cause consumers to have a horrible experience.” He was one of only a handful of people at the Feb.7 hearing who prefers restoring the internet to the pre-Obama era.